When my husband and I started to budget our money, we were complete newbies. Sure, we had officially been adults for nine years, but that didn’t mean we knew what we were doing financially. We really could have used some simple budgeting tips to keep us on track. Of course, we read books and researched different household budget ideals, but none were simple and straightforward like we needed. Maybe you’re a newbie at budgeting also. Or maybe you’re a seasoned budgeter, but are making sure you haven’t missed anything when it comes to your budget. Whatever the case may be, these budgeting tips will keep you on track to saving and building wealth. We started budgeting because we wanted to pay off debt and build wealth. What we didn’t expect was for it to become a way of life for us. Eight years of budgeting (we paid off $26000 in debt in 5 months!) has become the norm in our lives. 1 | Know your exact numbers. It’s easy to say you make “around” x amount of dollars. But, you need to know exactly what you bring in. We budgeted for every single dollar, so it was important for us to know our salaries to the exact dollar amount. The amount you are looking for is the amount after taxes and insurance are taken out. What money actually hits your account each pay period? That is the number you want to use! You also want to know the exact amounts of your bills. 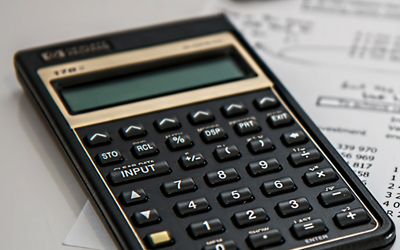 There will be some leeway when it comes to budgeting items like groceries and gas, but you should be able to get a pretty close estimate by looking at your prior bank statements. Use your past bank statements and statements from bills to figure out your exact amounts so you can get a solid budget going. The worst thing you can do when you start a budget is to be unrealistic. It is wonderful to have high hopes for your budget, but make sure that your plan is in the realm of possibilities. For example, it probably isn’t realistic to budget $25 per week for groceries for a family of 4. Unless you are a frugal fanatic and extreme couponer, this amount isn’t going to cover your needs. You need to use your past amount and go from there. If you have a goal to spend less at the grocery store, just make sure you slash a reasonable amount. 3 | Give yourself at least 3 months to refine your budget. Budgeting takes time to get used to. There may be times in the first few months that you totally blow your budget. That’s okay! Don’t make a habit of blowing your budget, but do make notes as to what didn’t work. Give yourself about 3 months to really get the hang of budgeting. That will give you time to see what you pay for certain bills, what your income really is and what your fluctuating costs, like groceries and gas, are. After you really understand your budget and perfect the art of budgeting, you will be able to spend less time each month doing your budget. This doesn’t mean it won’t be as exact or as effective, it just means you will probably know more figures by heart and will know what you need to include each month. 4 | Give yourself a cushion. When we started budgeting, I made sure that we kept a decent amount of money in our account, as a cushion. This money wasn’t there to spend, but it was there to make sure that any budgeting mistakes we made didn’t end up with overdraft fees from the bank. I do believe in zero-based budgeting, where you speak for every dollar. And we did, but we still had $200 extra in our account each month, beyond what we needed for bills and other spending. It was a very mini emergency fund that stayed in our checking account. Rarely was that $200 spent, and we just rolled it over for the next month’s cushion. I looked at it as invisible money, that was there if it was absolutely necessary. 5 | Get organized and have a system. Staying organized is an integral part of budgeting. You don’t want to miss a bill or payment due to being disorganized. It’s easy to get an organization system in place. You can use what you have laying around your house, or budget a few bucks to spend on some materials. I use a 2 inch binder for our budgeting items. I use clear page protectors to hold our monthly budget, and past budget sheets that I can refer to. I also keep the most recent bills so I can look at them. Most of our statements come electronically, but I still write down those amounts so I am not having to constantly look back for payment amounts. Our budget binder has helped us start our budget, get out of debt, and start saving for our future. It is the hub of budgeting for us. 6 | Meet with your spouse monthly about your budget. 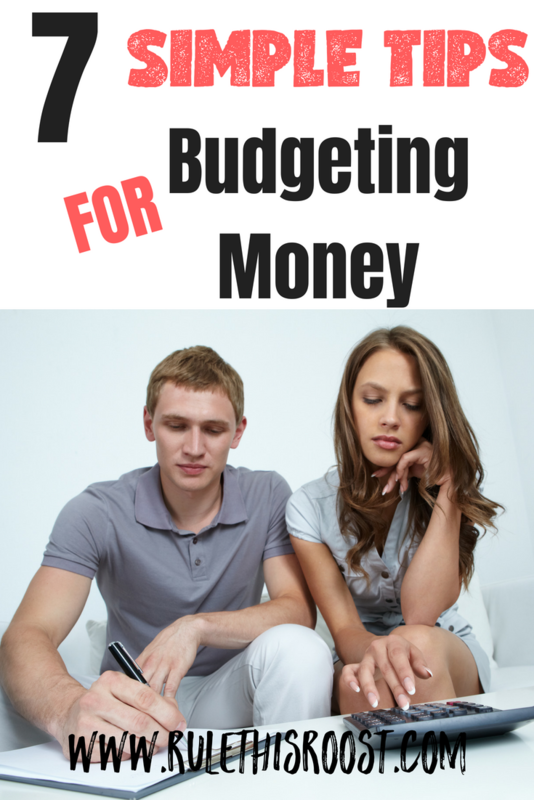 Meeting with your spouse about your budget is going to be the glue that holds it together. If you aren’t talking about your budget, it won’t be long before issues come up about money. Take about 20-30 minutes a month and talk about upcoming expenses and other suggestions and concerns you have about the budget. This is also the time to talk about what you can tweak. It’s important to also hold each other accountable. Maybe one person is blowing the budget every month, and needs a revision in the budget, or encouragement to keep the vision alive. Make sure that your budget meetings stay positive and encouraging. This is a team sport, not singles tennis. 7 | Budget in some fun. Even when we were intensely paying off debt, we budgeted for fun outings. They weren’t expensive, or luxurious, but they were part of our plan and our budget. Budgeting for fun helped us keep our vision alive and kept us motivated. We called this category “fun money”. We each had $50 per month to spend on something fun. Often times, we were so focused on paying off our debt that we just put the combined $100 toward our debt. But, it was there if we chose to go on a date or out with friends. If you don’t budget for fun, you will burn out quickly. Budgeting doesn’t mean life gets boring or miserable. Actually, quite the opposite. Budgeting your money will allow for you to do even more when you have gotten out of debt and started building wealth. Make sure your “fun money” category is small, but still existent! Final thoughts on these budgeting tips. Budgeting is not the big, hairy beast that a lot of people think it is. Having a budget is similar to the speed limit signs that keep us all from driving 100 miles per hour down the road. They are in place to keep us safe. The same goes for a budget. It will keep your money safe and in check. Budgets are guides for us to keep track of our money and help us plan for our future. Budgets are not meant to restrict, but rather to paint a clear picture of what your financial situation is. I can assure you that budgeting will change your life and help you reach your financial goals quickly!